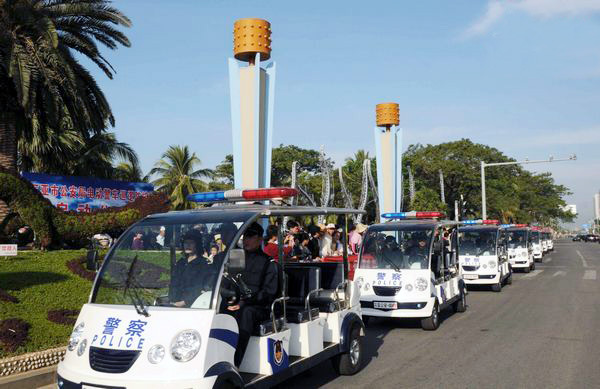 This year, the Sanya government will introduce electric police patrol cars to strengthen the social security and construction of the International Tourism Island of Hainan, reports news.0898.net. The electric police patrol car’s speed is 35 km/h and it is able to run 90km after being fully charged. Compared with the fuel-energy cars, the vehicle uses batteries as its power. There is no exhaust and noise, which will greatly reduce financial expenditures. According to an official with the Sanya Public Security Bureau, these electric police patrol cars will be put into use in early 2011.